We are fully responsible for the effective implementation of QHSE standards in the office and on board ships as per the company’s procedures and legal rules of relevant shipping industry. Our team of dedicated Marine and Technical Superintendent take care of the co-ordination and preparation of the vessel for Oil Major Pre Vetting inspection as required by the commercial operators. • Our staff selected for the LPG tankers are trained for the vetting requirements. •The Master has overriding authority to take whatever action he considers necessary for: the safety of life, the vessel and protection of the marine environment; reducing immediate danger to the vessel including the use of outside assistance when unable to contact Company offices. • He may contact the Company for such assistance at any time. • Each vessel’s Inmarsat-C is tested twice a month as back up. 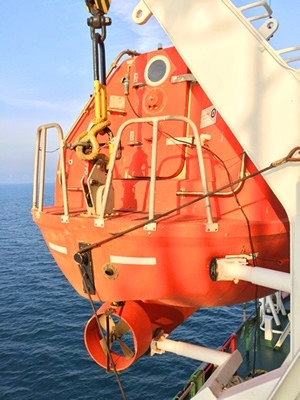 • Regular onboard Drills, Trainings & Familiarization are conducted to ensure readiness of the crew. • Emergency Response Team - Consists of CEO,VP/MD, Managers, Technical & Safety staff. ERT room is provided with necessary equipment, such as, dedicated land line, fax, TV, relevant area charts, laptop, etc. • Dedicated Mobile number is provided for Vessel to contact in case DPA/CSO’s hand phone is busy. • Contingency Plan testing (drills) at least once per type of vessel per year assisted by outside parties as necessary. • Top Management are trained by experts in Media handling and Crisis Management.